Kheerapat and Panchkhadya or panch gudkhadya is served after ganpati aarti during Ganesh chaturthi festival. This is a easy to make dry prasad for ganpati. 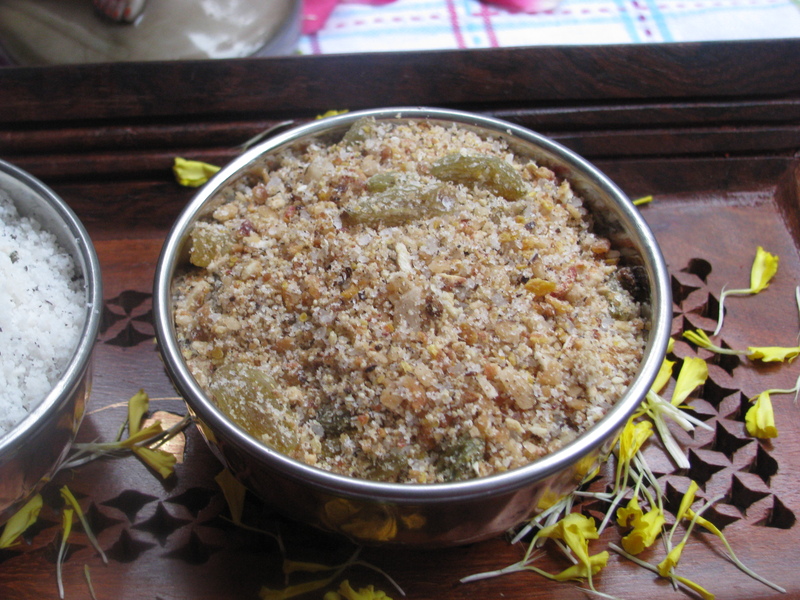 This recipe is made in variety of ways in many Marathi homes. My mom used to make both kheerapat as well as panchkhadya. Panch khadya is made from 5 ingredients, it is also called as panch gud khadya. 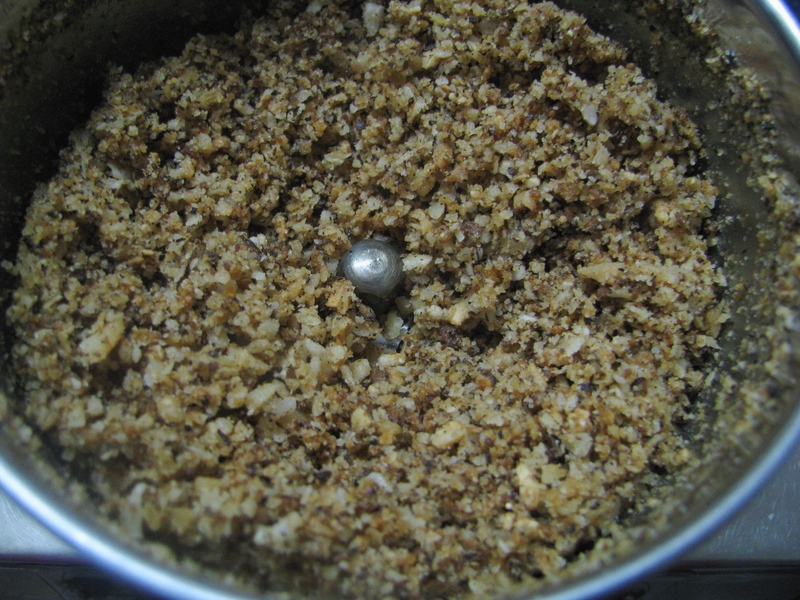 She always made a big batch of this dry Prasad so that it will go for 11 days. But me and my brother would never let it last for more than 5 days. It was very tasty. This Panchkhadya Prasad has long shelf life as compared to kheerapat, due to roasted ingredients. Many people make kheerapat and Panch khadya seperately. Kheerapat is a very simple recipe and it contains only 3 ingredients – coconut, sugar and cardamom powder. 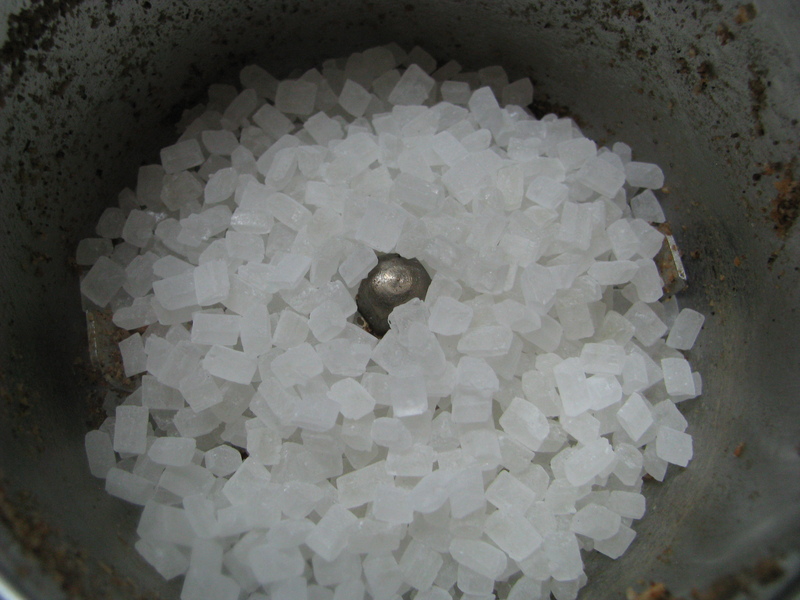 Kheerapat is generally served in “Sarvajanik Ganesh mandal” after ganpati aarti. 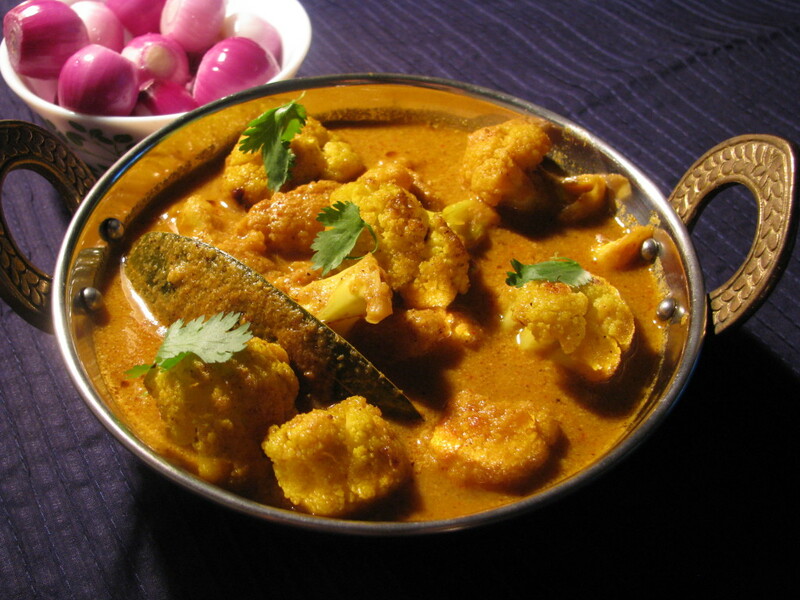 It is also served after gulabai and bohondla songs which are very famous in Maharashtra. All this makes me very nostalgic! 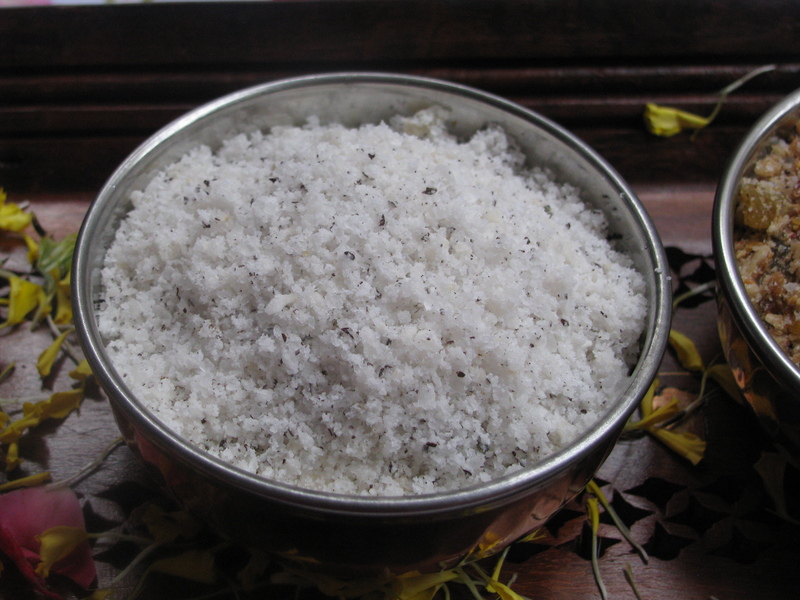 Panchkhadya has 5 ingredients whose Marathi name starts from ” kh” they are kharik (dry dates/ chuara) , khopra (dry coconut / sukha gola) , khishmish ( dry grapes), khus khus (poppy seeds), khadisakhar ( rock sugar / mishri). 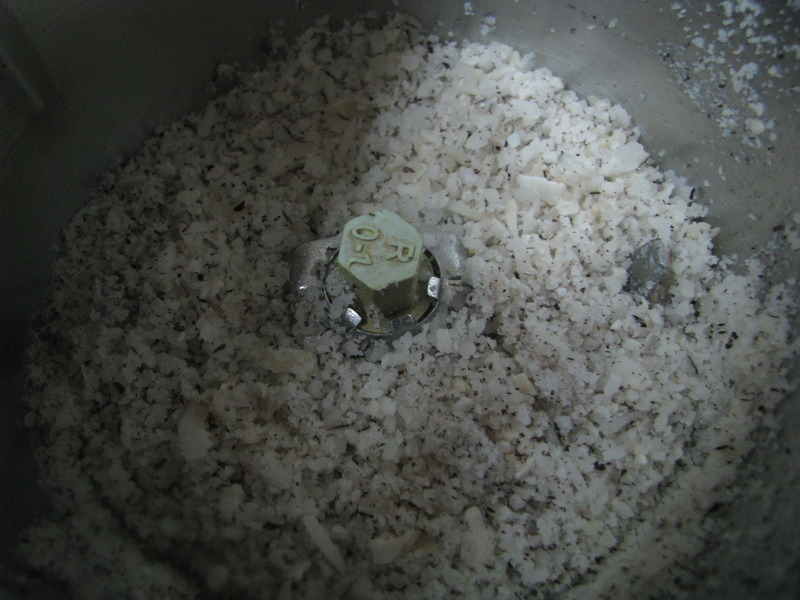 This mixture of 5 ingredients is said to be very nutritious for brain. You can also use panchkhadya for stuffing of fried modak . I have shared how to make kheerapat and panch gudkhadya. Make any recipe according to your convenience in this Ganpati festival. Let it cool down. 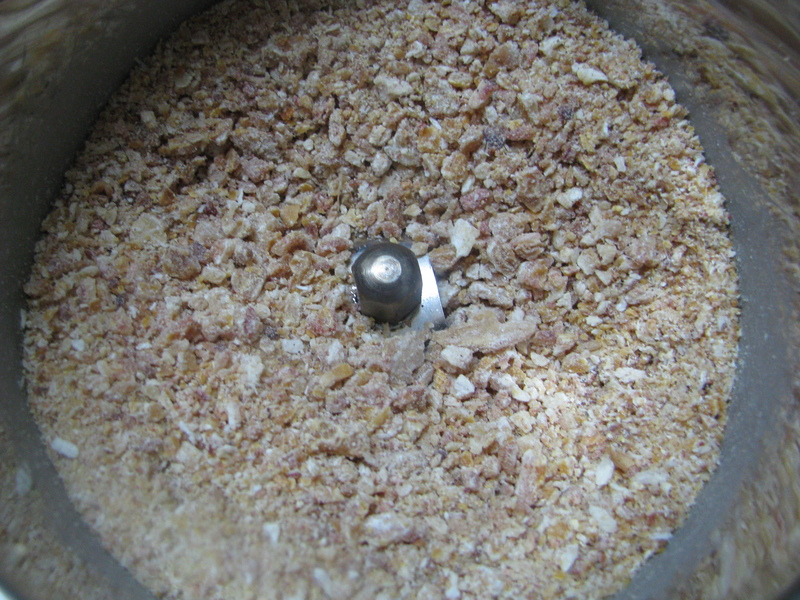 Coarsely grind it in mixer or pound it in khal batta. Mix it with powdered sugar and cardamom powder. Kheerapat is ready for ganpati naivedyam and Prasad. Note- Shelf life pf kheerapat is less as compared to panchkhadya . You can keep it only for 2-3 days. If you want to store it for 11 days, roast the coconut until it becomes light brown. But many people like kheerapat white in color. In that case, keep it in airtight box and refrigerate. 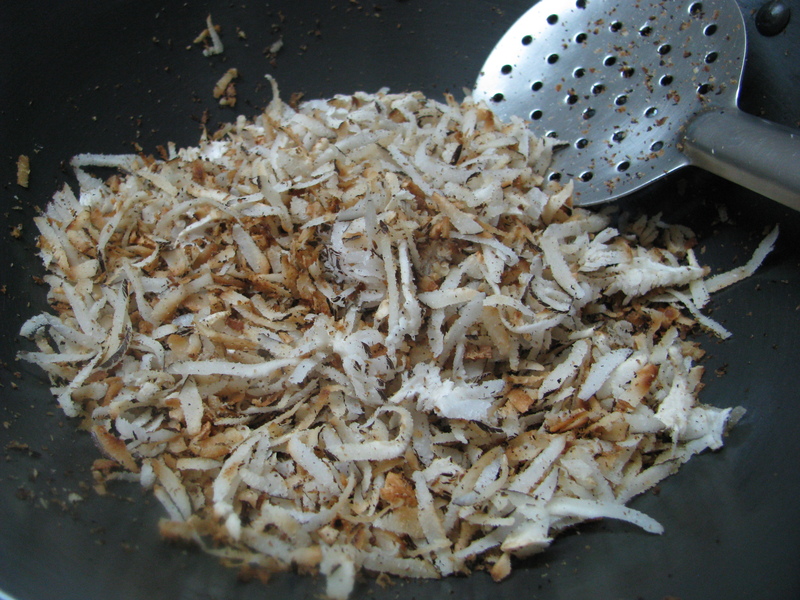 Crush the roasted coconut with your fingers or coarsely grind it in mixer. 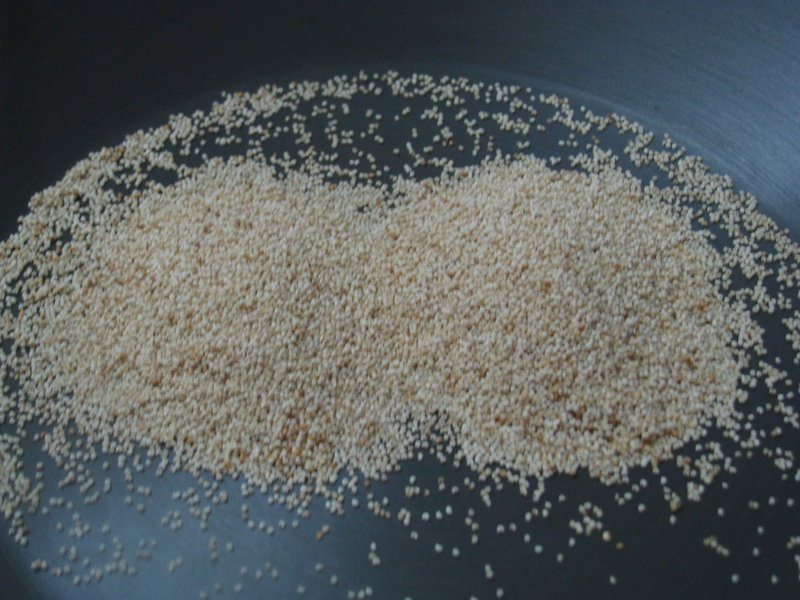 Dry roast khus- khus or poppy seeds on low flame for 1-2 minutes, pound it in mortar and pestle ( khal batta) or coarsely grind it in mixer . 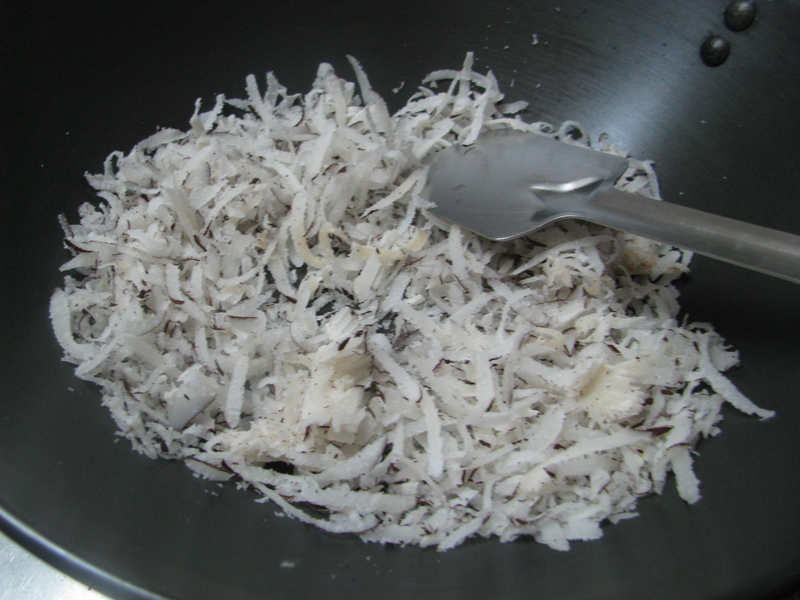 Remove seeds from dates and make powder of it. 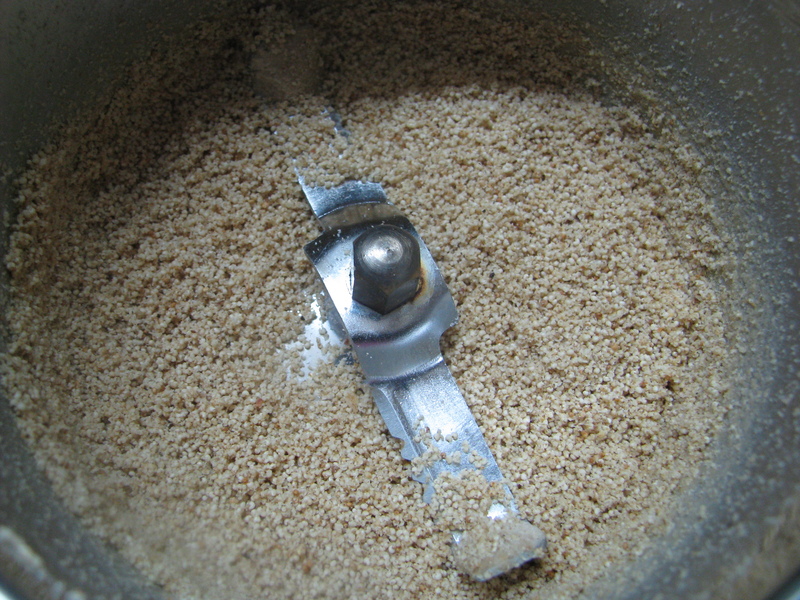 Pound the rock sugar / mishri in mortar and pestel ( khal batta ) or mixer into coarse powder. Mix all the above ingredients, and add cardamom powder. Panchkhadya is ready for naivedyam and Prasad. 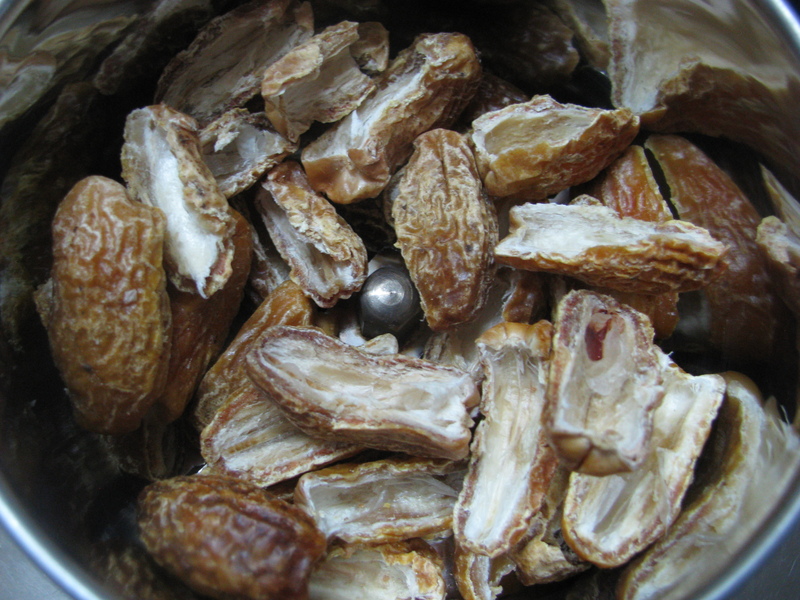 Note – if Kharik ( dry dates/ chuara ) are soft, roast it for 3-4 minutes on low flames. Let it cool down completely and then make powder of it. You can also microwave it for 1-2 minutes , let it cool down and then make powder of it .Its difficult to powder dry dates (kharik) if its soft. Hi there,I read your blog named “Khirapat and Panchkhadya prasad for ganesh chaturthi| Ganpati prasad | Healthy Veg Recipes” regularly.Your writing style is awesome, keep up the good work! And you can look our website about love spell.